Q: How do I view the bikes in person? A: Viewing bikes are by appointment only, no walk in’s, please contact RMD Motors via email to set up an appointment. Q: What type of payment options are accepted? 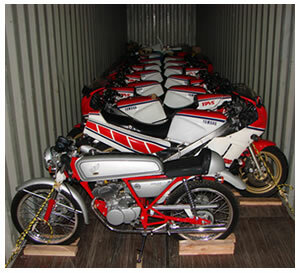 A: RMD Motors only accepts bank transfer/wire payments to our Japan corporate bank account before any bikes are shipped. Q: Who is responsible for shipping fees? A: Buyer pays all shipping fees. Q: What if the bike arrives and there is a problem? A: We will work with the buyer to resolve the problem so all parties are happy. Q: Do I have to make shipping arrangements? A: NO! RMD Motors can arrange shipment to any country worldwide or the buyer can arrange shipping. Q: What kind of crate/case does the bike come in? 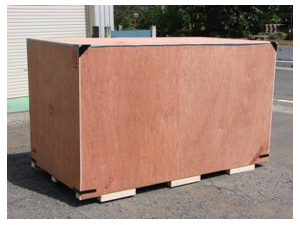 A: RMD Motors builds high quality crates/cases in-house with treated wood that can be shipped to any country worldwide. Please see picture on this page for just one example of a shipping crate/case that we built in-house. Q: For container shipments of more than one bike who loads the bikes? 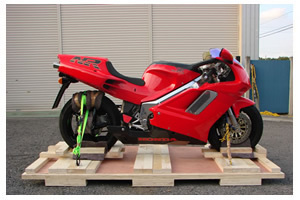 A: Our staff personally loads and secures your bikes daily in 20 and 40 foot containers. We do not use any third party companies to handle your precious cargo. A: RMD Motors are motorcycle riders, enthusiasts, collectors and resellers. Unlike other sites we have complete control over the sale of all bikes on this website. We are not middle-men or a broker. You are dealing with us and nobody else.